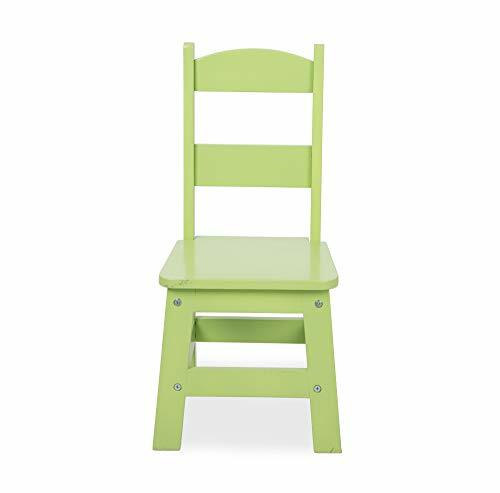 This sturdy set of four chairs and a wooden table is sized just right for kids ages 3 to 8, but it’s strong enough to accommodate most grownups, too! The bright white table fits with any home decor and wipes clean to maintain a crisp and clean look. Pastel color chairs – one pink, one yellow, one green and one blue – add gentle pops of color. You can top the table with a child’s favorite puzzle or game, or use it for arts and crafts, tea parties, lunch and snacks and so much more! The table and chairs are simple to construct with just a Phillips-head screwdriver (not included) and incredibly sturdy once assembled. The chairs have an 11.25-inch seat height and a reinforced, tip-resistant design. The 20-inch x 23.5-inch table height is 20.5 inches. Melissa & Doug focuses on making high-quality furniture sets for kids. We have made this sturdy wooden table and chair set from durable wood, and the chairs hold up to 150 pounds. 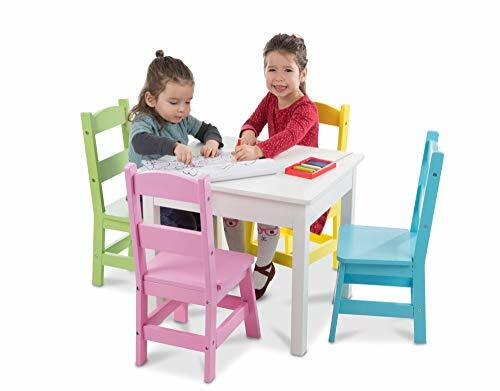 The Wooden Table & 4 Chairs set makes a great gift for kids ages 3 to 8. 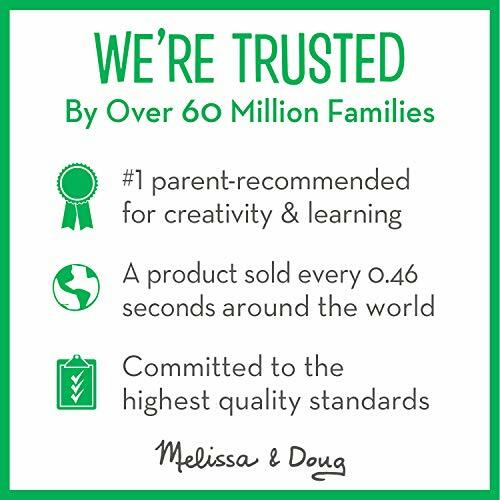 For more than 30 years, Melissa & Doug has created beautifully designed imagination- and creativity-sparking products that NBC News called “the gold standard in early childhood play.” We design every toy to meet the highest quality standards and to nurture minds and hearts. If your child is not inspired, give us a call and we'll make it right. Our phone number is on every product!